There's no getting around what's going to happen when The Walking Dead returns for the second half of season eight. 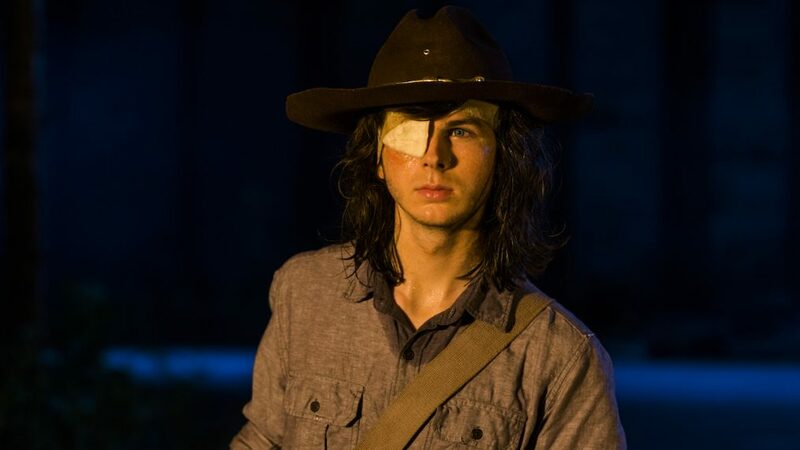 Carl (Chandler Riggs) is going down, and unless this turns out to be some terrible nightmare/hallucination by Rick (I maintain this is still very much a possibility), then this will be the most devastating death in a series that has been full of them, and honestly I don't see how the show recovers from this one. The new trailer for the show's return in a few weeks gives us an idea; this is the most emotional teaser the show has had yet when usually they are full of violence and tension. This one is focusing on the potential impact of Carl's absence on those closest to him, particularly Rick and Michonne. But there's still more death to come, and a final battle with Negan on the horizon so there won't be a lot of time for mourning, hence the tagline "Finish the Fight". I've had a lot of conversations about The Walking Dead lately, and the consensus seems to be that Carl's death marks a "jumping the shark" moment. I don't think that's true; important deaths are necessary to keep the stakes high, but I do think they've crossed some kind of Rubicon where they've killed off one too many extremely popular characters and we may see that impacted in the ratings. The Walking Dead returns to AMC on February 25th.